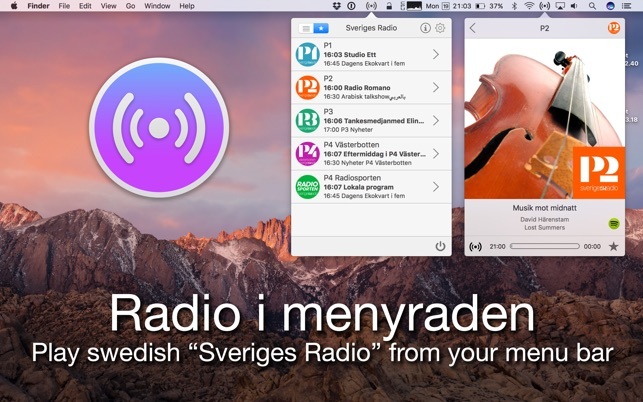 Play swedish “Sveriges Radio” straight from your menu bar! 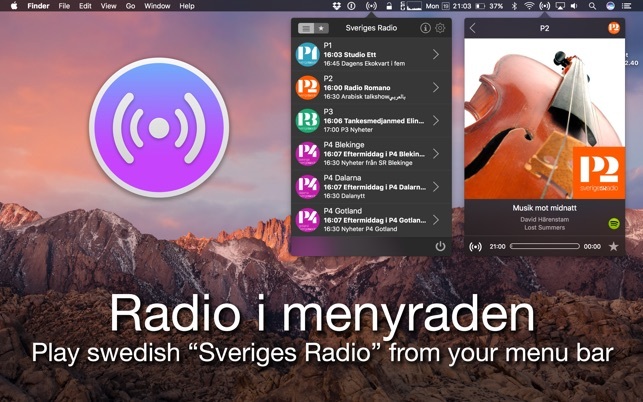 - Workaround for a problem in the Sveriges Radio API. Now all channels should be listed again. Exactly what I wanted, haven’t had any problems yet. Maybe a bit steep price for what it is, but when you need something handy you become willing to pay for it. It just works.